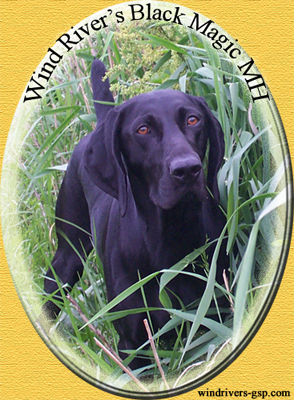 Wind River's Kennel is dedicated to producing German Shorthaired Pointers that have exceptional form (well balanced), are fast moving, close working, stylish and have outstanding bird finding ability. In addition, we strive to produce dogs that are not only great hunting companions, but are also even tempered, loyal, and relaxed. Wind River's GSPs are socialized daily with children and adults. Currently we specialize in AKC Hunt Tests, and plan to add more events as time permits while running our Hunting Preserve. We produced and own the #1 Producing Hunt Test Dams for the years 2000, 2001, 2002 and 2005. 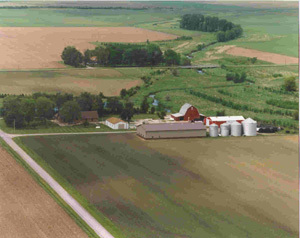 Wind River's Kennel and Koeberlein's Hunting Preserve is located in Tolono, IL, just south of Champaign-Urbana. Situated about three hours from Chicago, St. Louis, and Indianapolis make taking in a weekday or extended weekend hunt your option. Those who are further away can fly into Willard Airport in Savoy, and we can arrange your short 10 minute drive. You are welcome to visit us, but to provide you with the best service, please contact us first. Click here to create customized driving directions with Yahoo Maps!